Beauregard Hall is an academic classroom and laboratory research facility that was built in 1960. Over the decades, changing needs and minor repairs have slowly transformed the original building into a state that was unorganized and inefficient. Furthermore, the existing building systems had grown inadequate to provide the complex ventilation, air conditioning, plumbing, and electrical requirements of a modern day university laboratory and classroom building. 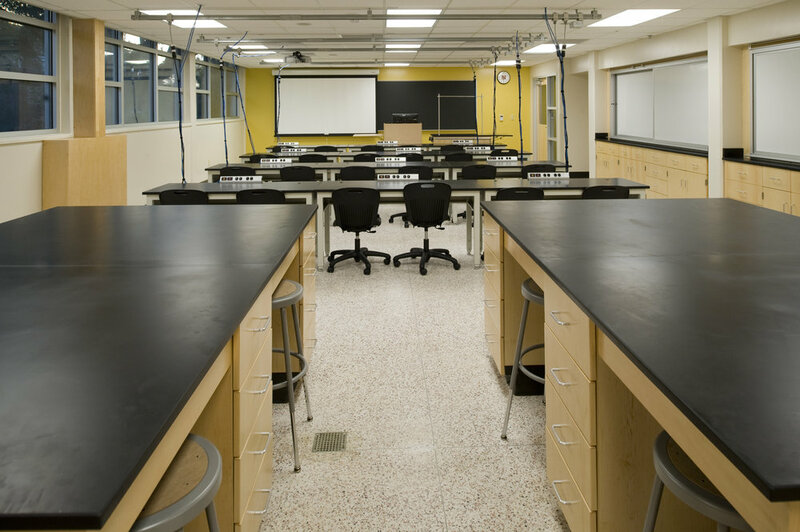 Crump Wilson Architects stripped the building down to its structural core and transformed the aging facility into an organized, state of the art science building with modern laboratories and classroom spaces. The exterior envelope was also upgraded by adding in new energy efficient doors and windows resulting in improved daylighting, and an aesthetic improvement of the exterior facades.